Too many people take their vision for granted. Because they’ve had it their entire life, it’s difficult to imagine losing it. This attitude is universal to the point where even demolition workers sometimes fail to protect their eyes. However, it takes very little to put your eyes out of action. A piece of flying metal from a machine tool, a flying fishing hook, or molten metal from torch-cutting are just a few ways this could happen. Protective safety glasses exist today because of hard experience gained from a century of industrial activity. Today, the occupational safety and health administration (OSHA) requires safety glasses or prescription safety glasses use in work environments hazardous to the eyes. The type of safety glasses required depends on the hazard. For example, impact to the eye from flying material fragments, grit, sand, or metal chips is a common industrial, construction, and DIY work hazard. 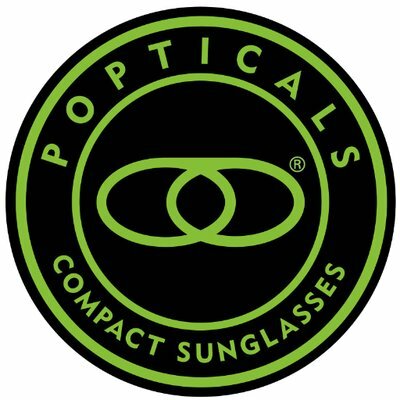 The material of choice for impact resistant safety glasses and prescription safety glasses is polycarbonate. Polycarbonate is a very tough material that was used for the canopies of fighter jets and the helmet visors of astronauts in the 1970s. Polycarbonate is tough because it has “give” when struck by a projectile. This is very different from glass, which although much harder than polycarbonate, is brittle and easily shatters. Polycarbonate’s impact resistance outperforms common lens materials by a factor of ten. Polycarbonate has two other beneficial properties: it’s lightweight and completely blocks ultraviolet, both UVA and UVB. Although you can get regular dress glasses with polycarbonate lenses, they’re inadequate as safety glasses. The main reason is they weren’t designed to withstand the rigors of common work environments. The lenses may have insufficient thickness and won’t necessarily have the size and shape to provide maximum coverage from projectiles coming from all angles. 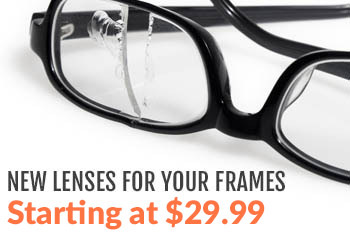 The frames may lack sufficient strength to hold the lenses in place when struck by a projectile. In short, they don’t meet ANSI standards for safety glasses and prescription safety glasses (a OSHA requirement). One of these requirements is that safety glasses must remain intact when hit by a quarter-inch steel ball traveling at 150 feet per second (102 mph). Different work environments will impose different requirements on safety glasses. These environments could involve extreme heat, or exposure to chemicals in the form of dust, vapors, splashing, and mist. Some environments expose the unprotected eyes to intense light radiation such as UV. This radiation is commonly produced by welding and laser work. Although you must wear safety glasses that meet these requirements at work, what you wear at home is up to you. However, if a mower flings a rock toward your eyes, dress glasses may not protect you. The same is true of home power tools. Now that we’ve established that dress glasses aren’t up to the task for eye protection, a logical solution is wearing regular safety glasses (with flat lenses) over your dress glasses. This is doable except that many people find this awkward and uncomfortable. Glasses inside of glasses can cause glare from light reflection off the double set of lenses. The discomfort and glare can be a dangerous distraction in some work environments such as construction, where there’s a high risk of falling. Eyewear maintenance is also doubled because you have two sets of glasses to clean. Another problem is the inner glasses preventing proper placement of your safety glasses, especially when both hook around the ears. Your dress glasses may also prevent a good seal in the case of safety goggles. A double set of lenses also reduces light transmission, which can be a problem in some types of work. Prescription safety glasses are a simpler and easier solution. When working, your mind should focus on your work, not on your glasses. Simplicity always works best. If you are undecided or have questions, don’t hesitate to contact us. We are here to help.